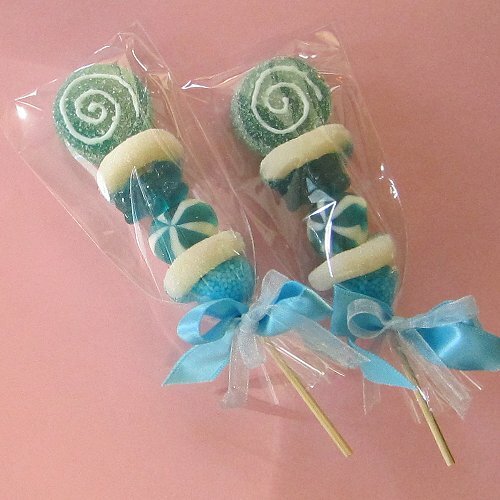 Beautiful bows attached to rock sugar sticks make for tasty favour treats. Set them up in a large basket with the candy part upward, or create smaller bouquets for your table centrepieces. 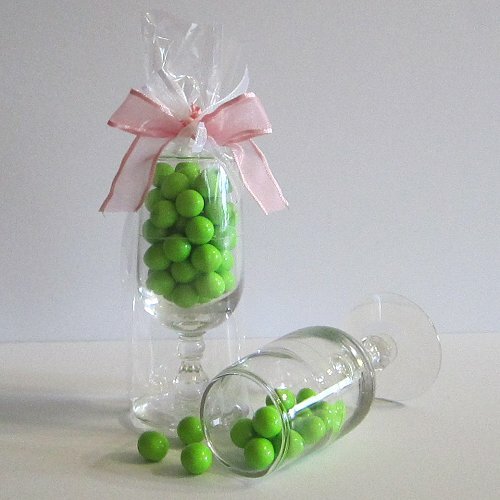 A clear cello bag filled with your favourite candy is a simple yet elegant wedding favour. 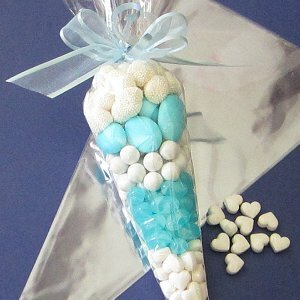 Cello cone bags are a delight for the eye and the taste! 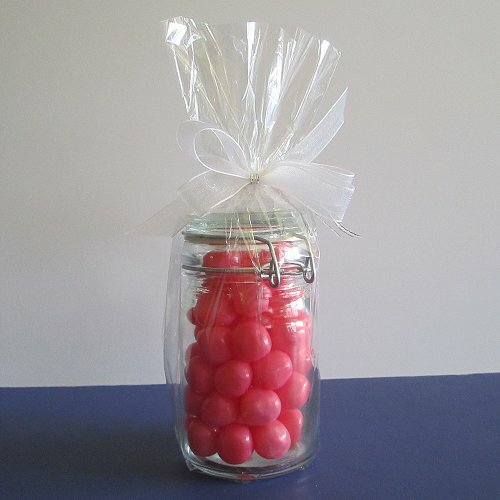 Fill them up with candies that are in harmony with your colour theme and decorate with a pretty bow. The cone bag holds up to 200g, or it can be cut to the desire length for a smaller favour format. 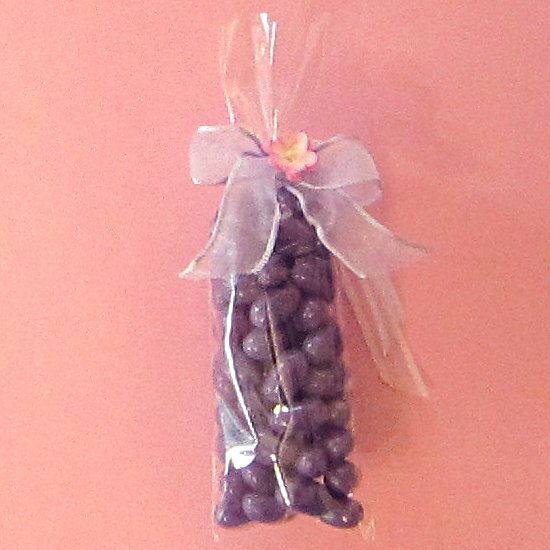 A non see-through organza pouch is a sure way to engage the curiosity of your guests. Decorate with a gorgeous bow for an outstanding looking wedding favour. An elegant glass tumbler filled with candy matching your colour theme is a lovely way to say thank you. 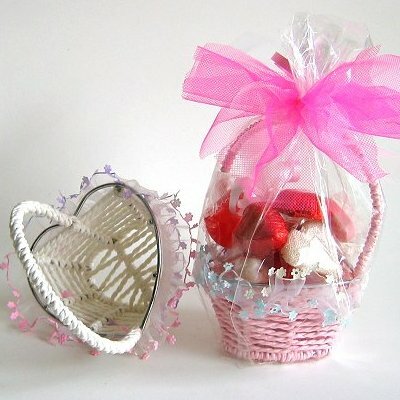 Mini baskets filled with wrapped candy or chocolate make charming and unique wedding favours. 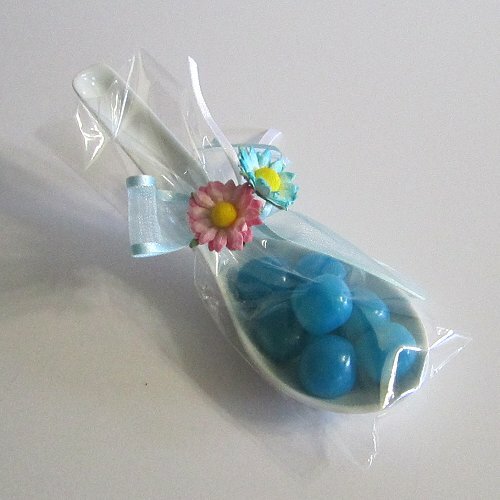 Easy to assemble, say thank you by giving a spoon filled with confetti almonds or any of your favourite candy. 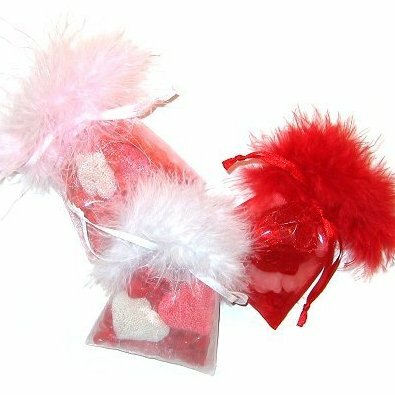 Organza favour bags ornate with feather trims are an elegant choice and don’t even require ribbons to look glamorous. 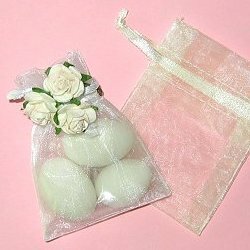 Easy and quick to assemble, small organza bags filled with confetti almonds, are a fine option for a traditional wedding theme. Glass jars are available in a vast array of styles and sizes. Fill them up with treats and decorate with pretty ribbons. 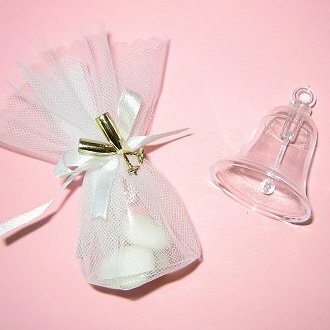 Fill a simple acrylic wedding bell with the five traditional confetti almonds. Wrapped the bell and confetti in a tulle circle, and decorate with ribbon and charm. Mini kabobs are fun wedding favours. 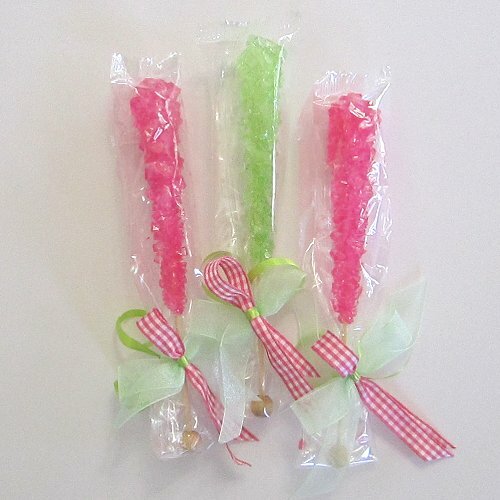 Easy to assemble, choose gummy candies matching your wedding colours. Place a mini kabob in each guest's plate, fill a large basket, or group them in smaller bouquets for centrepieces. 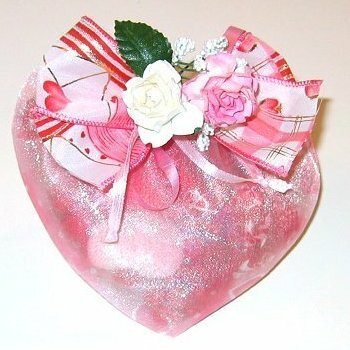 Cute mini white basket filled with a small cello bag of delectable candies; enhance with a nice ribbon, string of pearl, and paper rose. 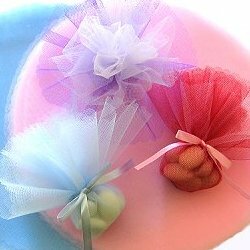 These easy to make bonbonnieres contain five confetti almonds wrapped in tulle circles tied with pretty ribbons. They are also practical for using attached to another favour for a traditional touch.